The company has linked up with a number of restaurants in town, and whilst there are chain establishments represented, there are also a number of great local, independent eateries on their books, and for me, that’s what makes it interesting. 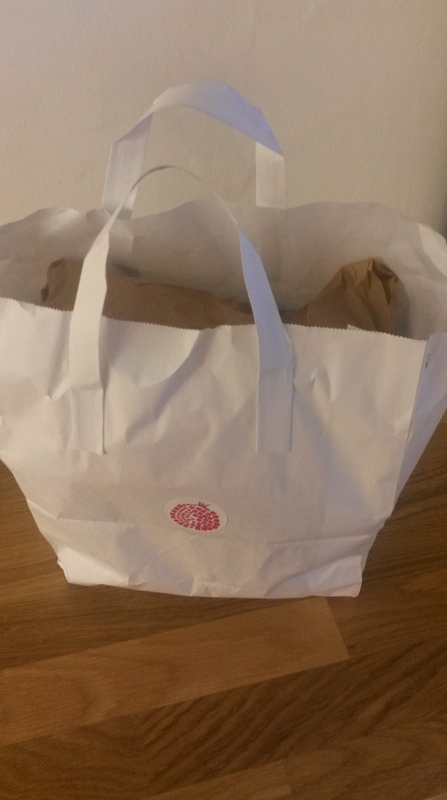 Restaurant quality food, delivered to your door in under 32 mins – what’s not to like? I absolutely adore cooking, however when you’ve had a long week, when everyone is tired and you just fancy a quiet night in, nothing beats a good take-away. 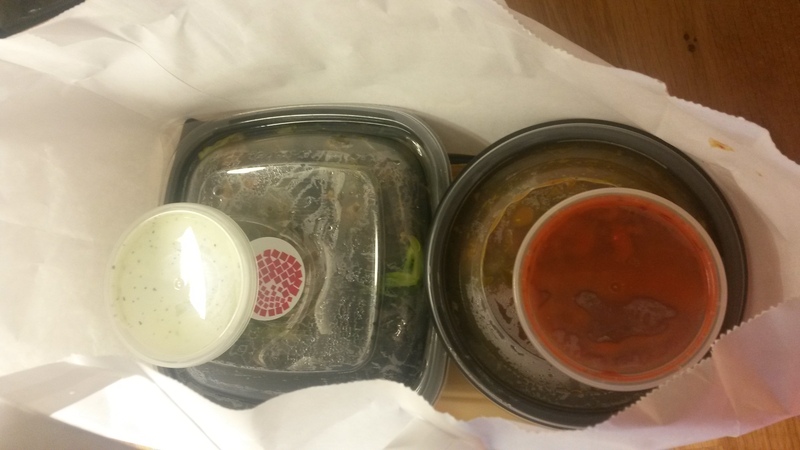 But take-aways can often leaving you feeling guilty. A fish supper is a thing of glory when you are eating it, but I’m not sure that anyone feels amazing after one! Full perhaps, content for a while, but in my case, “Oh that was good, but as usual I ate too much greasy food!” always follows. When asked if I wanted to give the new Deliveroo service a whirl, it was a no brainer. 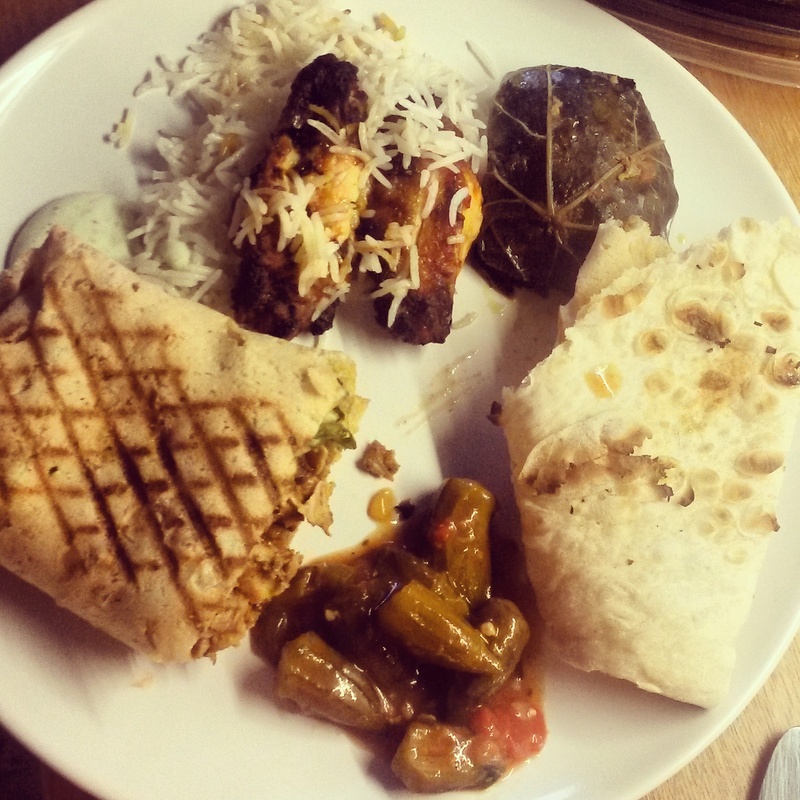 After a hectic day at work and a kitchen mid-rennovations, Deliveroo seemed like an excellent solution. Firstly, the technical side… The website is really attractive and easy to use. 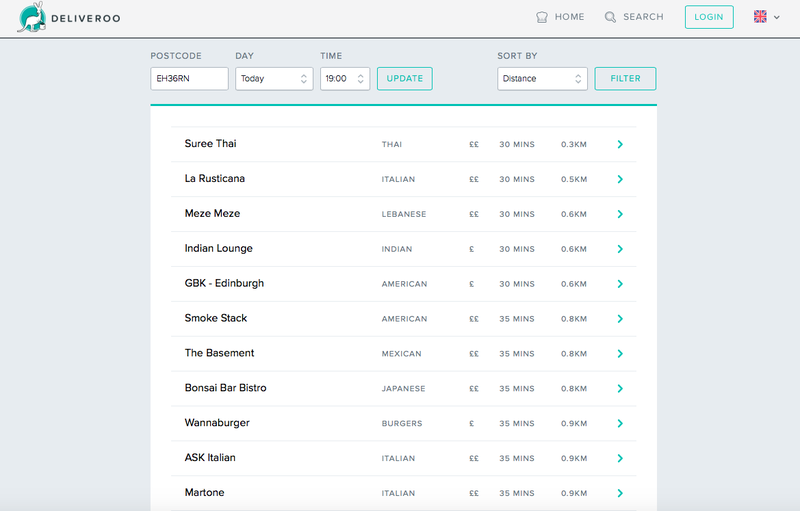 You simply pop your postcode in, select the time you want your food delivered and a list of available restaurants from which to choose is drawn up. 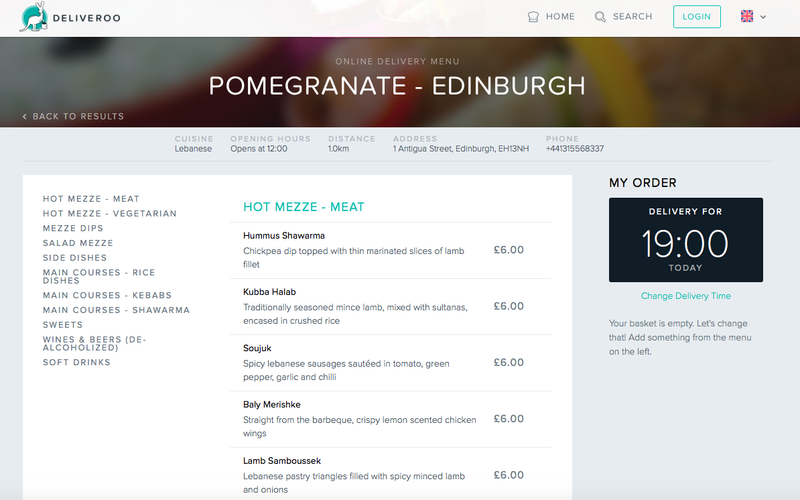 We decided to go for Pomegranate, a Middle Eastern, mezze style restaurant at the top of Leith Walk, from the same people that have Hanam’s. The menus are nicely loaded on the site. They use a great filter system making them easy to navigate, and your ‘shopping bag’ sites on the right hand side, showing the dishes have added as you click. 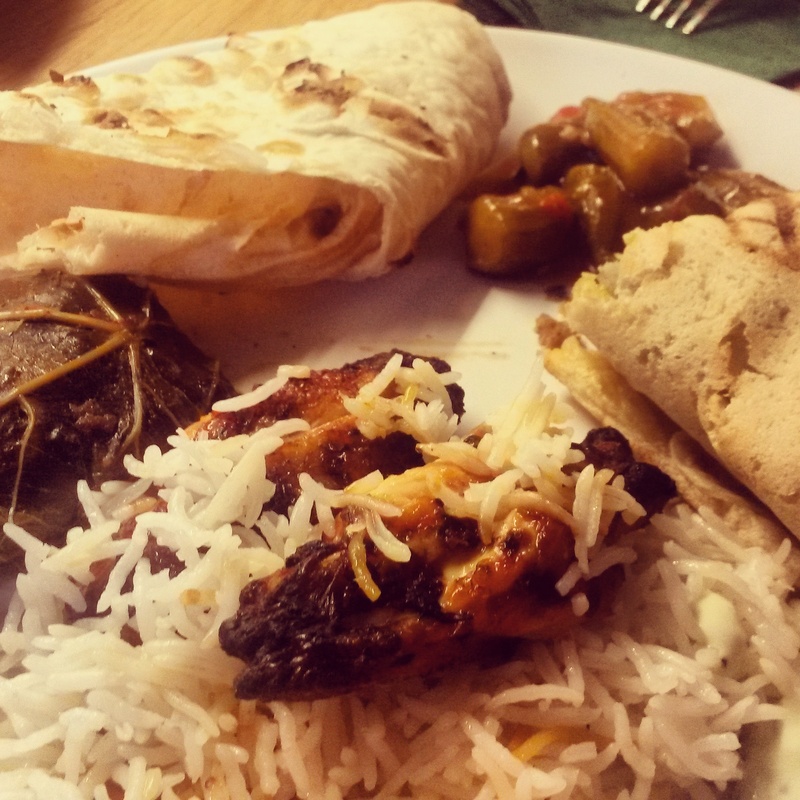 Our feast consisted of a portion of Dolma (vine leaves stuffed with delicious, flavoured rice), a Baly Merishke Kebab (marinaded chicken wings on a bed of rice) and a Chicken Shawarma Wrap (marinaded chicken, with chilli and spices in served in a thin naan wrap). Two minutes past 7pm, my chosen delivery time, the buzzer goes and up comes an extremely friendly and polite Deliveroo guy. Having paid online there is no transaction required, no need to run out and get cash and negotiate change etc. I should mention you also have the option to tip the delivery guy online when you place the order, and there is also a £2.50 delivery charge. 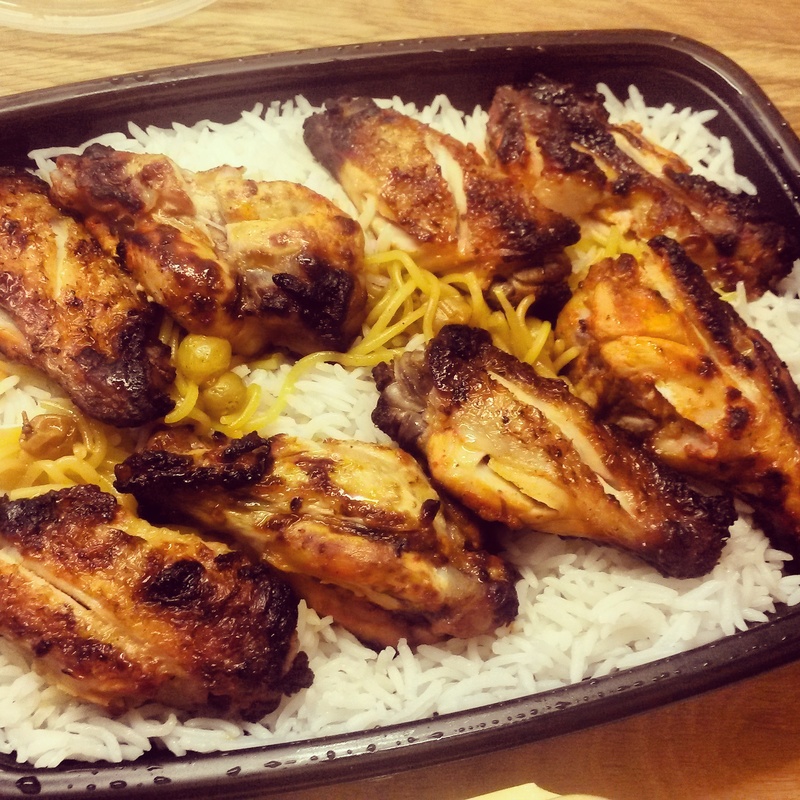 All the dishes were fantastic, but the star of the show was the Baly Merishke Kebab – delicious, crispy chicken wings, flavoured with lemon and spices, served on a bed of gorgeous, fluffy basmati rice. The jajic and tomato and orka dip, served with my chicken wrap, doubled up as great sauces for the left over rice. Simple, yet incredibly effective. 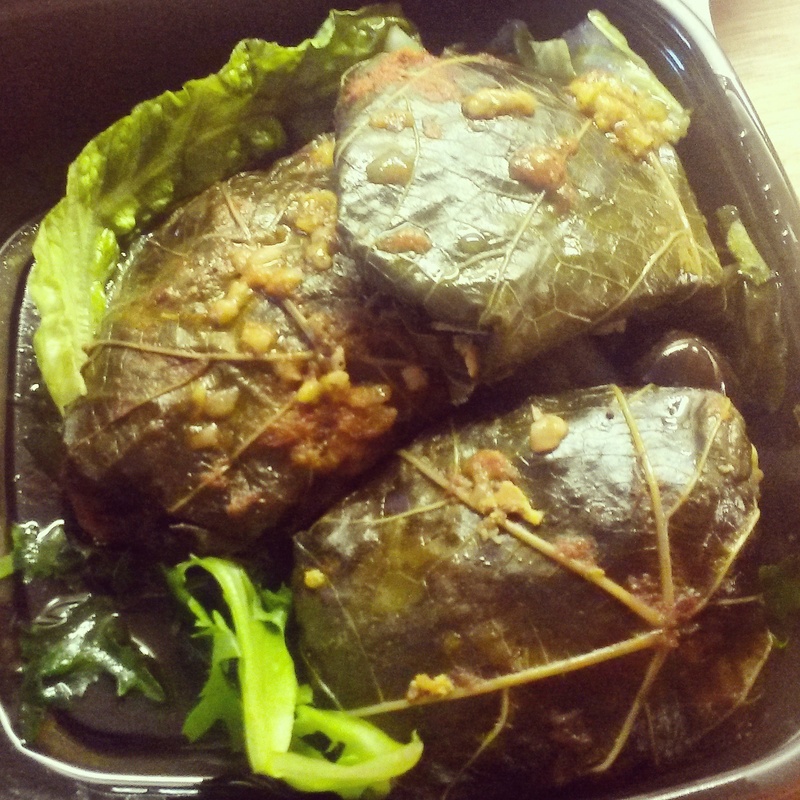 The Dolma should also get a mention – the rice was brilliantly flavoured with aromatic spices, a very fresh and zingy tasting starter. All in all, a great meal. However, there is no denying that a fabulous restaurant experience is made up more than just the food. It’s the place, the atmosphere, the people. 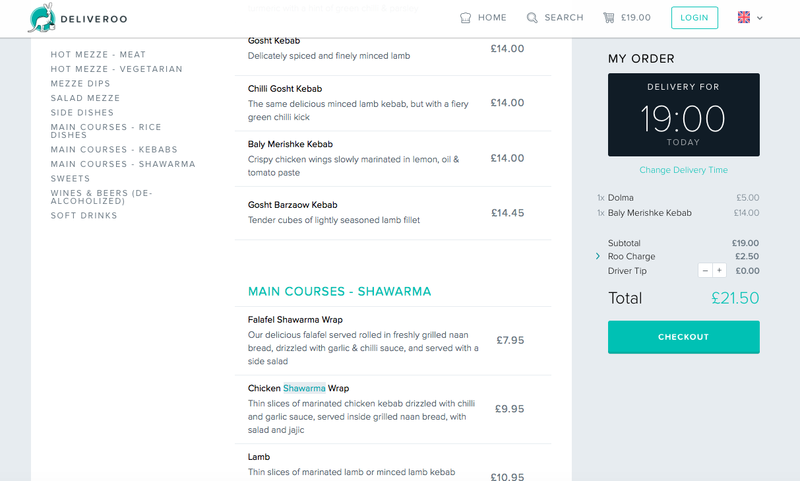 Using Deliveroo, if you opt for a restaurant you have never visited before, with a take-away version of their food you loose the atmosphere and the presentation, two very essential aspects of any eating out experience. But Deliveroo knows that. Their tagline reads ‘The food you love, delivered to your door’, and that is exactly what it should be. Choose your favourite restaurant, go for dishes that you know and love, and sit back and enjoy great quality food in the comfort of your own home.